Tax cuts that took effect at the start of 2018 encouraged many US whisky distillers to expand their facilities. Now, they’re caught in the middle of the trade war between the United States and its trading partners in Canada, Mexico, and the European Union. Not only are the whiskies some of those distillers export going to be hit with new tariffs at the start of July, but prices for the stainless steel and aluminum they need for those expansion projects are going up because of the US tariffs on imported steel and aluminum. 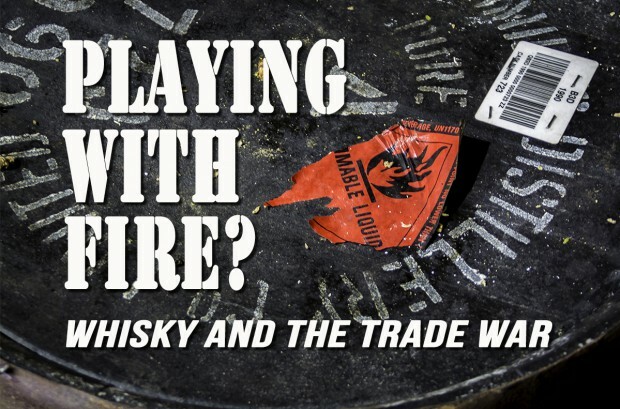 We’ll look at the issue on WhiskyCast In-Depth. In the news, Brown-Forman has opened its Old Forester distillery on Louisville’s “Whiskey Row” downtown, while the management of Bardstown’s Willett Distillery is being handed down to the next generation. Wild Turkey is releasing a new Bourbon with a back story appropriate for Father’s Day weekend, and we’ll head into the weekend with some Dad jokes.